First Myth: NSAIDs like aspirin, ibuprofen, etc. are a good treatment for plantar fasciitis. Very often, doctors will prescribe Non-Steroidal Anti-Inflammatory Drugs such as aspirin and ibuprofen, and the reason is that they believe long-term plantar fasciitis is a result of inflammation. But the most current research shows that this really isn’t true. Since the origin of the problem isn’t what the doctors believe it to be, naturally NSAIDs can’t do much to help. 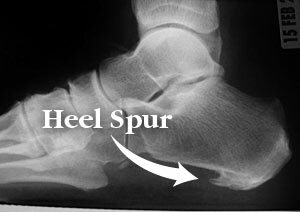 The most common ankle sprain occurs on the outside or lateral aspect of the ankle. 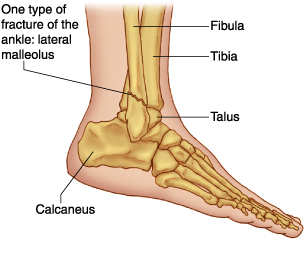 The lateral ankle is supported by a group of three ligaments called the lateral collateral ligaments. The anterior ligament is the ligament that is most often injured in lateral ankle sprains. This ligament is called the anterior talo-fibular ligament (ATF). Inversion injuries of the ankle account for 40% of all athletic injuries. Following the ankle sprain, management of the acute injury is best summarized by the acronym RICE; R- rest, I- ice, C- compression, E- elevation. Do wear a brace during rehab. A quick way to test for foot drop is to try to walk on the heels. If this proves difficult, drop foot may be present. There are some people who, for health reasons, should never wear flip flops. People with circulatory problems and sensitive diabetic feet are among this group. So are people with Morton’s neuroma (nerve inflammation in the toes and toe joints) and some types of arthritis in the feet. 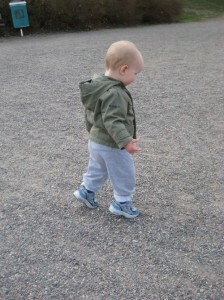 Exersaucers and walkers have a double negative impact on infant development. They are marketed to parents as helping children learn to stand up and walk. However, the infant is placed in a semi-reclined position with their hips placed in a seated position. This is NOT the position children learn how to walk in. As well, the infant spends time in an extended knee and toes pointed (plantar flexed) position which does promote the negative response of Toe Walking.